No year is ever complete without the cliché of the clichés’ “year in review.” Here at Eye on the East, however, we don’t like clichés and there will be no year in review. We are a blog that doesn’t focus on what I like to call “bulk posting” (posting just to boost numbers and those cliché year in review charts) or so-called quantity, but rather hope to be targeting quality instead. Therefore, simply going through the year’s posts should be enough to highlight the issues that mattered most to Eye on the East and its readers (at least I hope so). But since it’s the holidays and laziness is the usual ordre du jour, I’ll help by reminding you that it was a generally bloody year, whereby the ruthlessness of ISIS – whether in Europe, Lebanon and the Middle East – was the primarily headline. In Lebanon, it was a year of milestones that continue to go in vain: 40 years since the outbreak of the Lebanese Civil War – a war that on many fronts, doesn’t seem to have ended in the first place; 10 years since the so-called Cedar Revolution – a mythical revolution that failed as soon as it had been given its charming name; 10 years since the withdrawal of Syrian occupation forces in Lebanon – with the tragic irony that the occupier is now experiencing similar, if not worse, violence and warfare it helped trigger and proliferate in Lebanon during the war; as well as the end of a 10-year sit in of the families of disappeared and arbitrarily detained during our own war (many of which are believed to be in Syria) – proving yet again that the Lebanese government lacks the decency of being responsible for the fate of its own citizens. During times of my own personal hopelessness and despair, Eye on the East temporarily turned into a travel blog. It is always a pleasure to revisit Athens, this time properly documented (see The lure of Athens) and just in time to get a real feel for the mood of the country as it prepared for a crucial financial reform referendum and subsequent implementation of many of the reforms people had rejected as part of the referendum. But the trip to Vietnam and Cambodia was the ultimate travel highlight of the year (see Going Further East: Cambodia and Vietnam). It was refreshing to go back to the Far East since I left Japan in 1999 and remember that there is another East, further East to the one I usually focus on, bursting with culture, economic activity, development and looking towards the future yet still duly entrenched in its history and past. 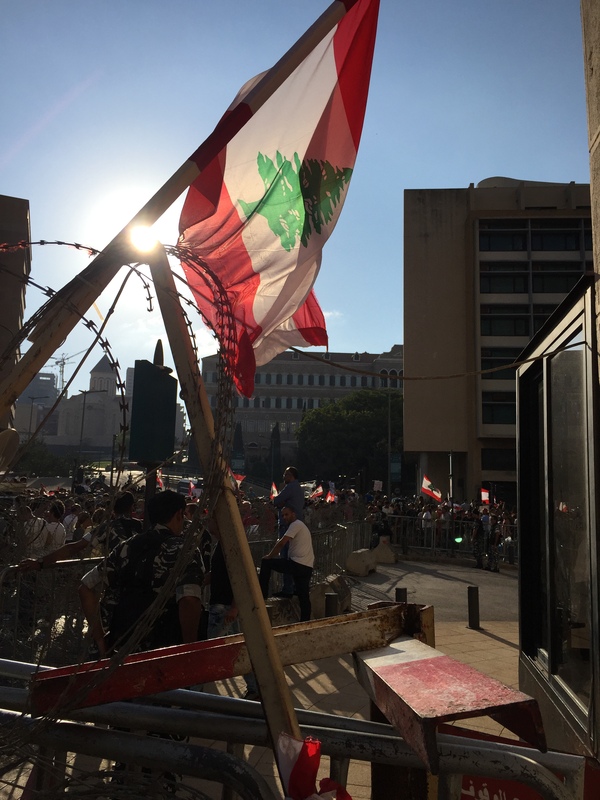 But despite the highs and the lows, from an ecstatic sense of hope to a free fall of confusion and despair, this year’s highlight was undoubtedly the popular protests in Beirut pushed by the garbage crisis. Eye on the East was a proud supporter and participant in the popular protests in Beirut and followed the story closely (see “With the Stench of Garbage comes a Breeze of Hope,” “Live from Beirut, from the beating heart of Beirut,” “It’s about Garbage and so much more,” as well as on Twitter). Eye on the East shall continue to be a supporter of any popular protest so long as there is a rightful cause. The road for those that desire genuine change in Lebanon is very long, it is a dirty, bumpy and sometimes deadly road, fighting a deeply entrenched corrupt political system, protected by the vested interests of politicians that are criminal, ruthless and whose appetite for greed is limitless. But something was truly broken this time around and the government and politicians took notice. I am not hopeful that things will change soon, but it is also hard for me to give up hope completely. It is very hard for me to do so…even if that only means that the pothole on my way home, which I curse day in and day out, will one day be covered and closed. 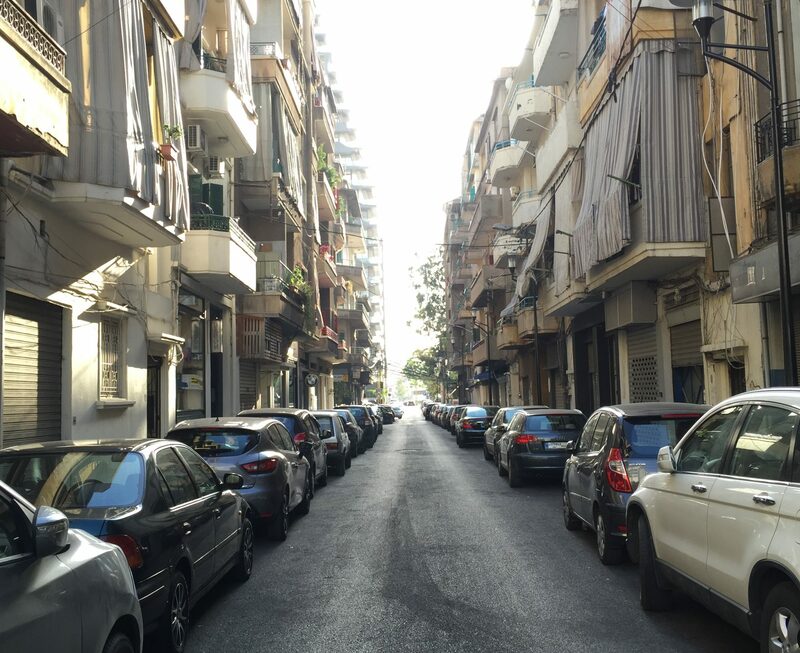 So after getting all that out of the way, I leave you with my favorite picture of the year, taken by me, during those beautiful, adrenaline-filled days where we exercised our right to dream and hope, live from the beating heart of Beirut, which we made our very own. I also leave you with my best wishes for a fantastic New Year. Thanks to each and every one of you for reading, liking, sharing and commenting on Eye on the East’s posts. None of this would have ever happened without you, so do communicate with Eye on the East whenever you feel like it, just say hi or tell us what you think. Live. Love. Laugh. Write (since this is a blog after all) … and bring it on 2016.